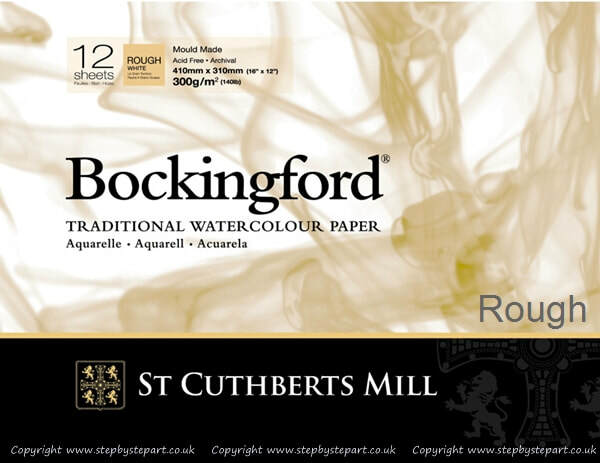 ​Bockingford® is a beautiful English watercolour paper, traditionally made on a cylinder mould machine at St Cuthberts Mill. This is a high quality paper made using ​pure materials to archival standards. Its attractive surface is created using natural woollen felts that give it a distinctive random texture. Appreciated for its excellent colour lifting abilities. This is an extremely forgiving watercolour paper valued by professional and amateur artists around the world. 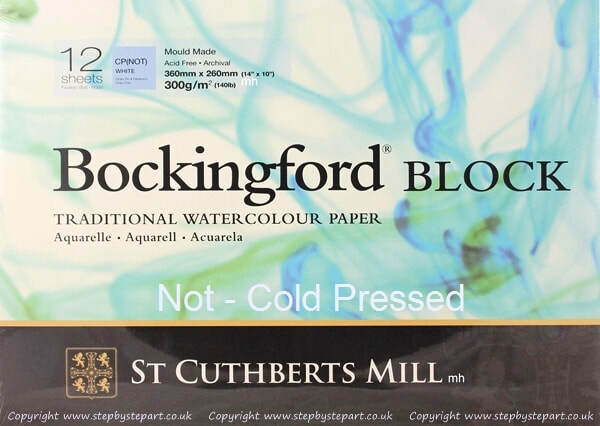 ​Bockingford® offers quality watercolour paper at an affordable price. 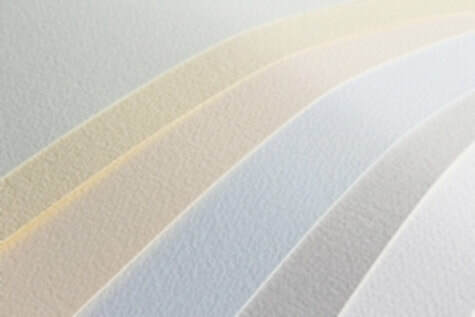 ​Made from 100% woodfree bleached chemical pulp St Cuthberts Mill are experts in manufacturing high quality artists papers. Their master papermakers carefully make beautiful mould made papers, using one of the few remaining cylinder mould machines left in the world. They only use pure raw ingredients to guarantee the highest grade of archival papers. Their pulps and cotton linters are specially sourced for their purity and performance. ​* May also be more expensive outside the UK and only sold in packs not individually. * For Painters - As the paper does not have gelatine sizing, masking fluid should not be left on the paper for too long as it may damage the paper when removing. So, what can this paper offer each medium? 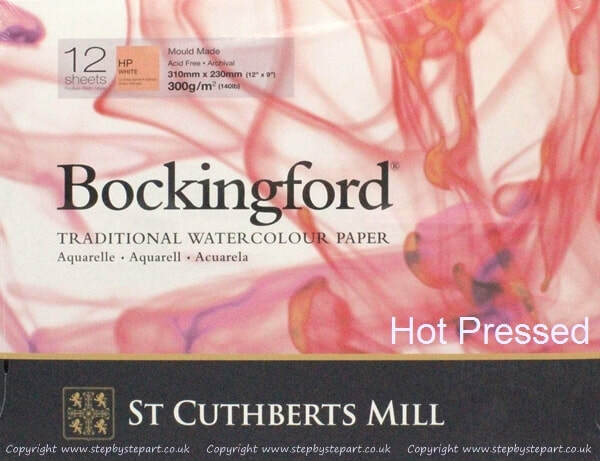 This paper is suited to various mediums, originally made for Watercolours but works particularly well with pencils too. It has a porous, matt surface that allows for multiple layers and as it is available in weights up to 535gsm, the possibilities are endless. Here are some thoughts on the various mediums trialled on the 300gsm Hot Pressed paper. Although I have always preferred to work on Ursus Coloured paper in the past, I have found the Bockingford Hot Pressed paper to be a great paper for my pencil technique. I create a lot of layers using both Caran Dache Luminance pencils for the details & Derwent Coloursoft for the base tones and tonal backgrounds and this paper takes a lot of heavy layers. Like my preferred Coloured paper Ursus, it is quite porous with a matt finish which allows for vibrant colours and layer upon layer of detail to create the same effects. 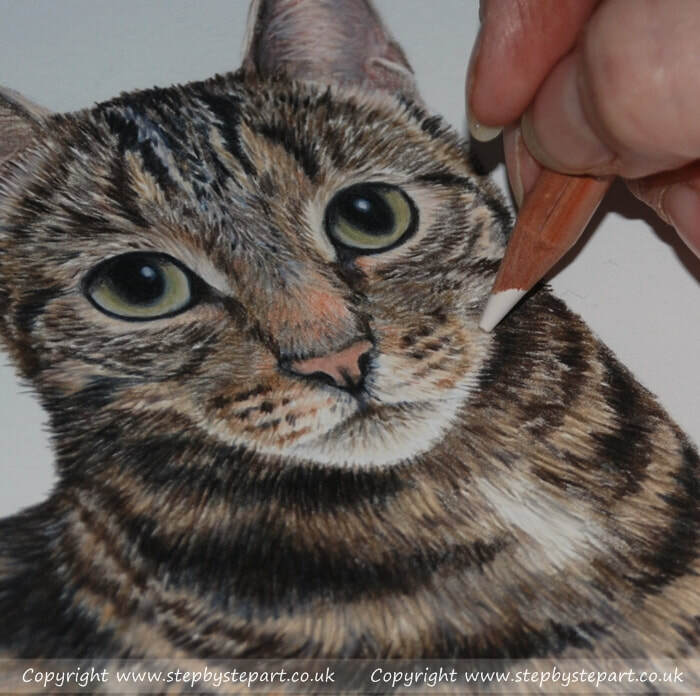 When working with Graphite pencils, it is a lovely, smooth paper that allows you to achieve various grades of tones whilst allowing for easy blending and erasing too. 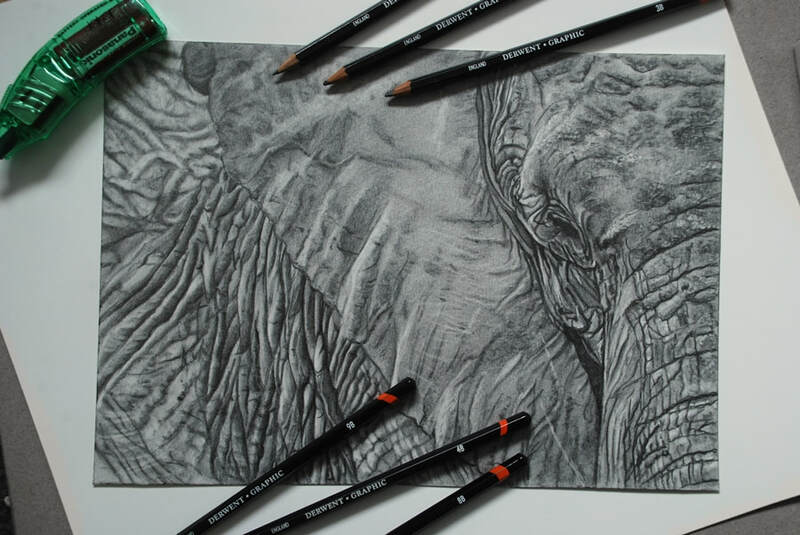 A 300gsm paper is ideal for subjects like this African Elephant that can require numerous applications as you can layer and erase extensively without any damage to the paper. Again it is porous for shaded applications but allows you to blend easily. 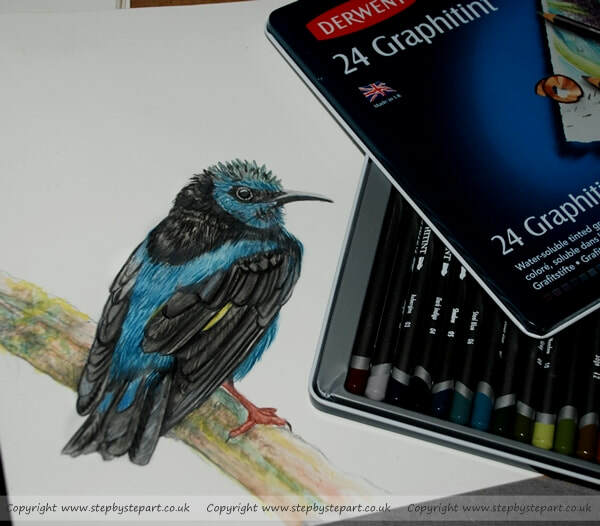 I use the Derwent Graphic 'Soft' pencils for my Graphite portraits and Workshops, and this heavyweight paper is ideal for both H and B pencil grades. Although the paper isn't a bright white that I usually prefer, this paper has a slight hint of an ivory tone which adds effect to a subject like this Elephant. 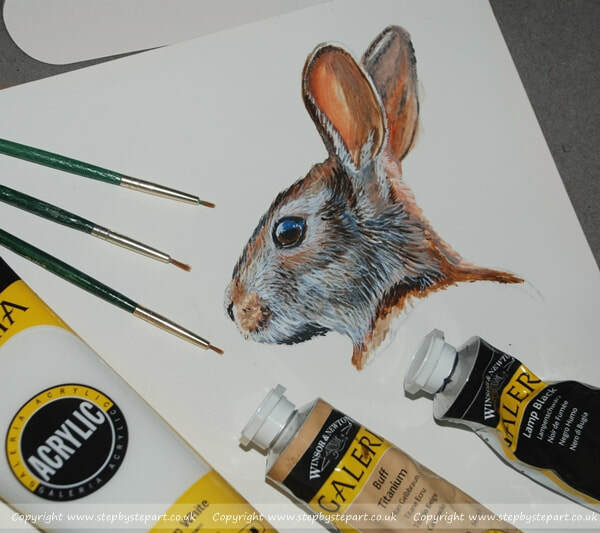 If you prefer to work on paper for Acrylic paintings, this paper comes in 425 & 535gsm weights which can withstand heavier applications, if working on a 300gsm or less, it is recommended that the paper is soaked and stretched before using with Watercolour, watercolour pencils and Acrylics, this is to avoid cockling (buckling) during applications and washes. It easily accepts the light wash or heavy application of paint, dries quickly and allows for multiple layers.